Stunning home located in the popular Riverwood Estates subdivision located near both Rabbit Creek and Dog River. 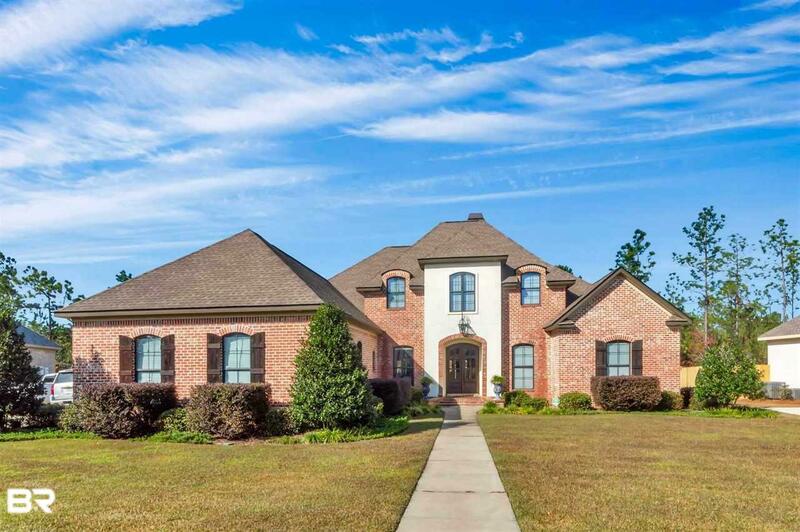 This home features 5 large bedrooms and 3.5 baths and attached double garage. The house has an open floor plan with beautiful crown and floor molding, a brick fire place flanked by built ins, hardwood floors, and arched walk-throughs. The kitchen has custom cabinets, tiled floors, a wet bar and breakfast bar as well as an attached informal dining area. The home also has a formal dining room and a large open family room that opens onto the covered porch that overlooks the back yard. The master suite is downstairs with beautifully trayed ceilings, attached master bath with jetted garden tub, his and her vanities, separate shower, and walk in closets. There are 3 other bedrooms downstairs also- Bedroom is currently used as an office. On the 2nd floor there is a large bonus room as well as another bedroom and bath. Lots of storage- 2 attic spaces. Double attached garage. Sprinkler system and much more! Located on a culdesac the house is tucked away from busy traffic making it perfect for winding down after a long day, entertaining and family life. Neighborhood amenities include a private pool house with showers, 40 x 60 Pool, tennis courts, gazebo and boat launch. Listing company makes no representation as to accuracy of square footage.